How can we, or should we, talk about God? What concepts are involved in the idea of a Supreme Being? This book is about the search to reconcile modern metaphysics with traditional theism - focusing on the seminal work of Austin Farrer who was Warden of Keble College, Oxford, until his death in 1968, and one of the most original and important philosophers of religion of this century. 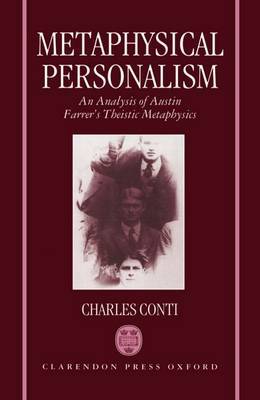 In this lucid and valuable work, Conti brilliantly conjures the spirit of Farrer and shows himself a helpful guide through Farrer's often dense reasoning. He has been principally responsible for the editing and publication of the posthumous collections of Farrer's writing, and it is evident from the footnotes to this book how thorough his knowledge of the published work and of the unpublished letters and manuscripts really is...the great merit of Conti's book is that it roots Faith and Speculation very firmly in the context of Farrer's lifelong theological project...Conti's book no doubt will become the standard guide to its subject and remain so for many years.